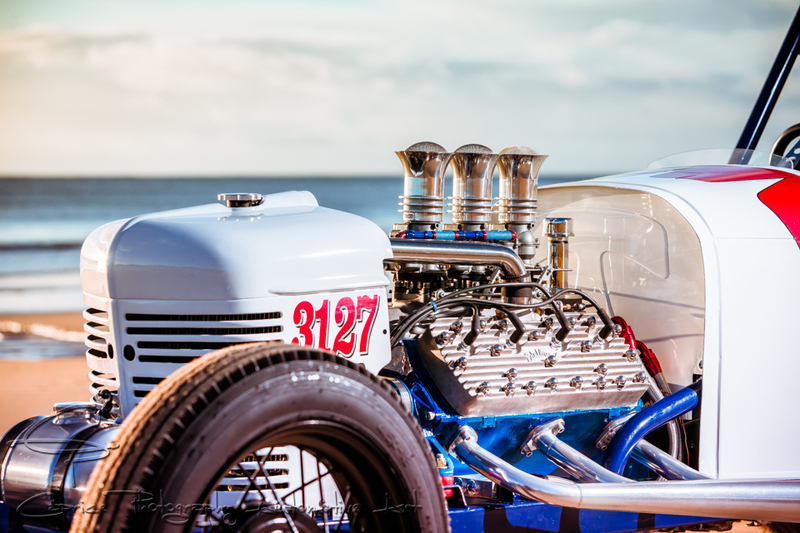 Deco Deuce: Art Deco and Hot Rodding in a 32 deuce coupe! All wrapped up in vinyl art! A sixties Willys Gasser barn find with all the old s’cool trimmings! Chasing barn finds these days is becoming a challenging exercise especially when you don’t hail from the land of cool custom barn stored relics! But when you’re chasing down something as rare as a genuine 1941 Willys, it’s like trying to find a needle in a haystack as Rob Monea can attest! 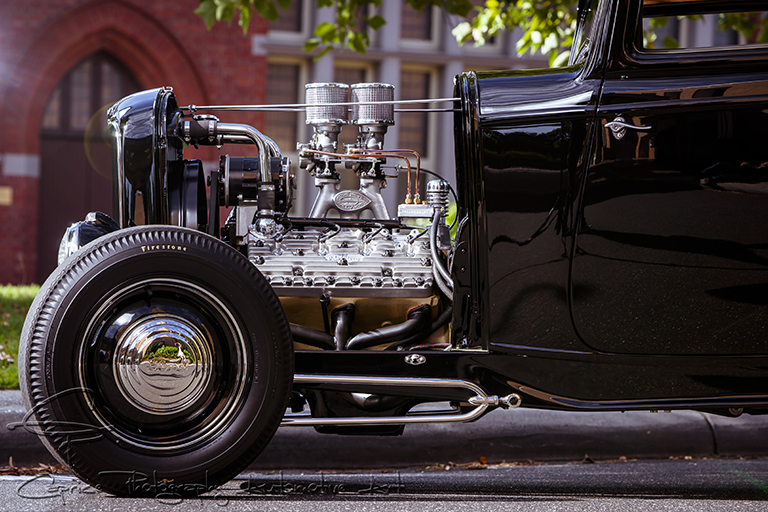 “Just about every Willys in the states has been turned into a gasser. 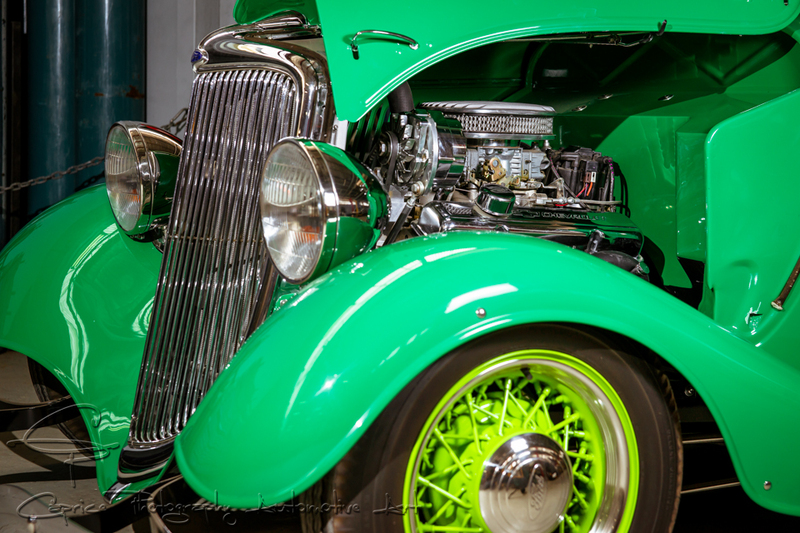 To find an original Willys in America that hasn’t been touched is almost impossible. In the forties when everyone came back from the war, all the kids wanted to go racing and this was about the only car that was for sale. Because all the other manufacturers closed down during the war and Willys stayed open to make the jeep, they also made this low buck piece of crap three window thing. A fifty year dream accomplished! The Customline cruiser built for bruising! Whilst many of the stories you’ll read throughout the vast library of issues of Cruzin magazine talk of the distances travelled of various American imports or of the far reaching extent owners have gone to purchase parts to finish their rods and customs, this story relates to a 61 year old classic that has spent it’s entire life close to its original birth place! What’s a car enthusiast to do when he lives in a seaside town with a great golf course in seasonal Victoria and he knows his golf game consists of a lot of walking, broken up by disappointment and bad arithmetic? 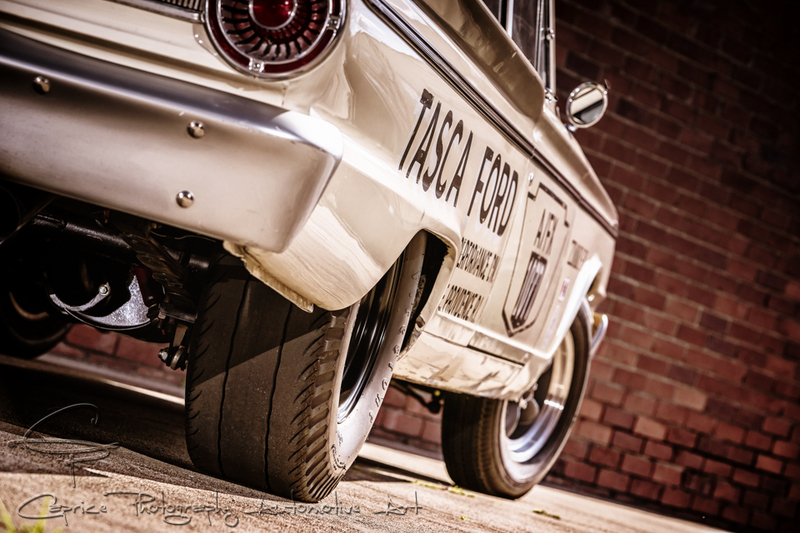 Rekindle that love affair of tinkering with old school cars and parts out back in the shed! Neil Harbison is one such guy who knew his golf game stunk and his spare time was better spent chasing spare parts for flathead motors than chasing little white balls out of sand bunkers! 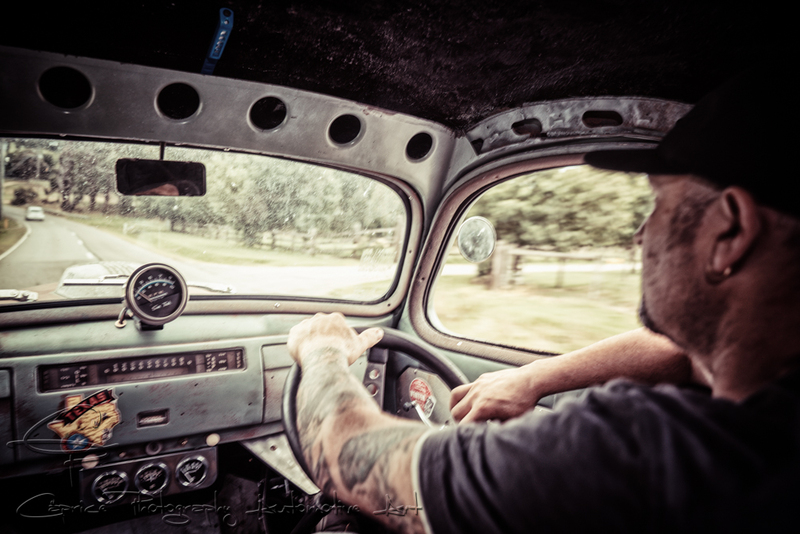 Growing up in the home of Australian hot rodding, Castlemaine in central Victoria, Kelvin Waddington’s direction in life was inevitably skewed towards the modified car scene, in particular, the hot rodding scene. 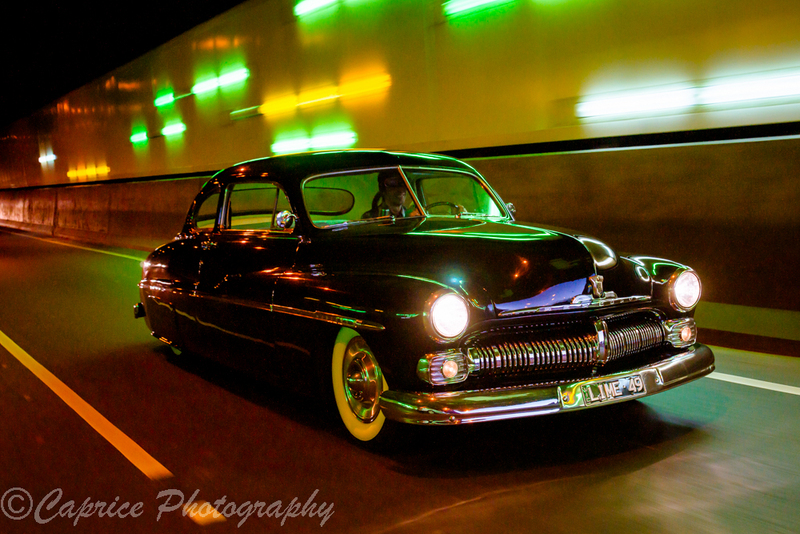 “I joined the local hot rod club when I was 12 here in Castlemaine and I’ve been messing around with cars since I was 10 years old. I did my spray painting apprenticeship at a local smash repair shop and then I started my own paint and panel business that I’ve now been involve in for 36 years! My two boys, Marc and Heath run the company now and have expanded into the full workshop and aftermarket parts business you see here” he explains. 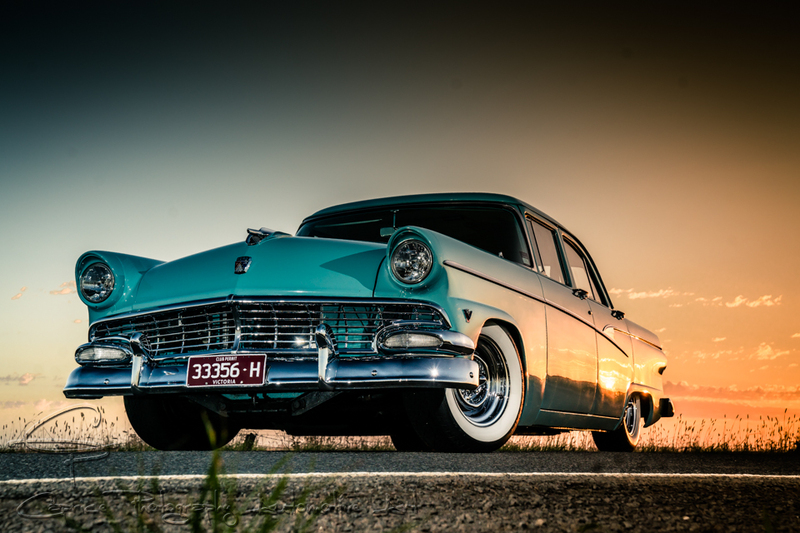 A/FX Fairlane: Birth child of the Thunderbolt! Drag racing in the early sixties became so popular in America it caught the attention of the major automotive manufacturers as a way of “racing on Sunday and selling on Monday.” For this reason, NHRA was forced to restructure the rules by introducing a new class in order to differentiate between the mass produced race cars known as Super Stocks and “special equipped” cars where by basically bigger cubic inch engines were shoehorn into the smaller lighter weight bodies of their respective makes in order to go faster and win. The introduction of the A, B and C/FX classes allowed the automotive manufacturers to experiment with various engine/ body combinations on the drag strip before committing to mass production of the successful combinations for youth orientated factory built muscle cars. FX refers to “factory experimental” while the initial letter classes the cars according to the vehicle’s weight per cubic inch of the engine inserted into its engine bay. 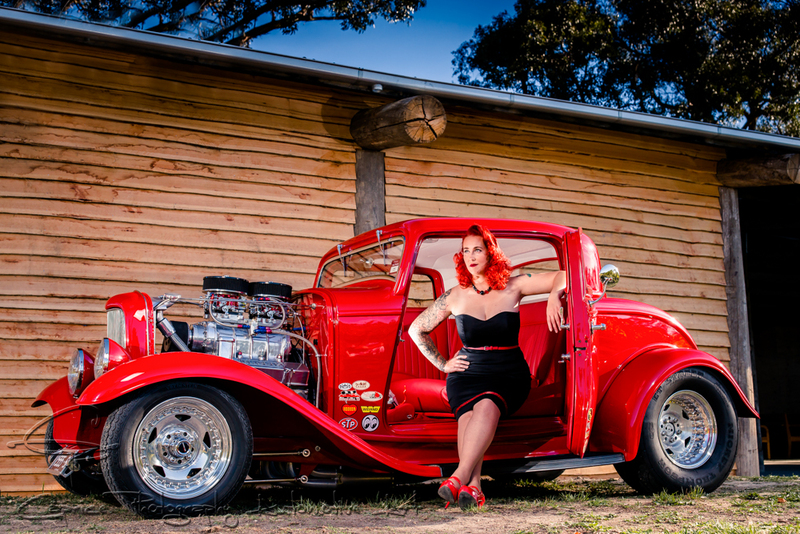 Red hot rodding in a 32 coupe! Red hot EveElle Scarlet with Lee’s wild 32! There’s no such thing as a production line hotrod. Every one of these unique machines has been built by someone, be it a solo effort in a garage over many weekends or by a team of professionals in a purpose built premises. But don’t always assume the person behind the wheel is the builder, some rod owners prefer to appreciate the machine that has been built by others. 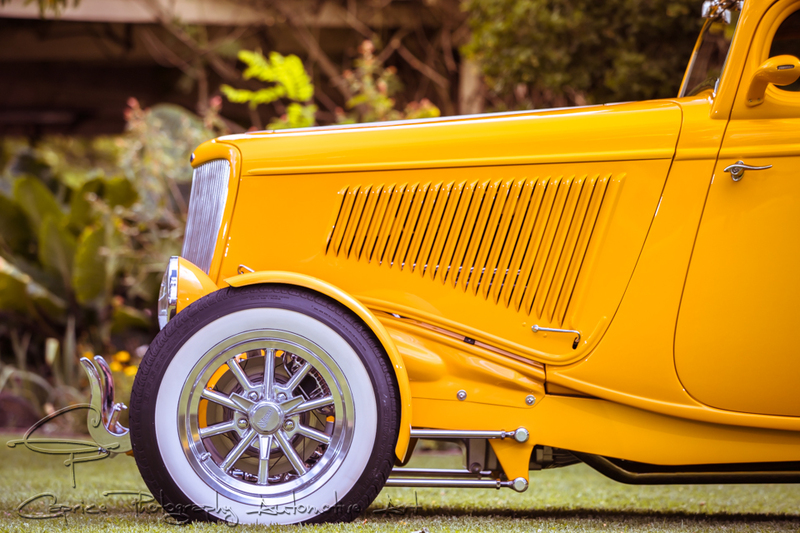 This by no means takes anything away from the rod owner as they themselves still love the hot rodding scene, know their way around these unique cars of craft and simply prefer to spend their time enjoying the hot rodding scene in a machine that just ticked all the right boxes for them. If the glove fits, wear it!